Over the six weeks you will get hands on experience as well as theoretical knowledge and the support of an experienced tutor. This course is AQA level 1 certified. If you are interested in certification, please ask for more details. 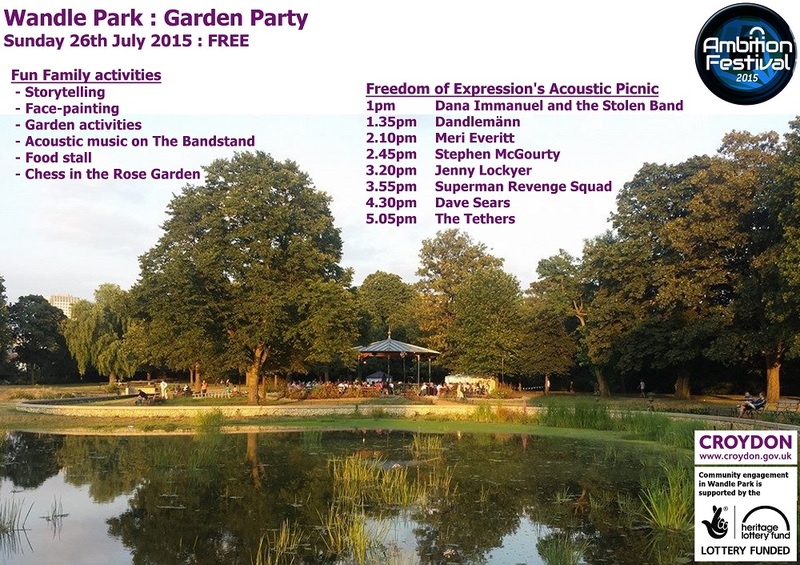 Join us this Sunday afternoon for the Wandle Park Garden Party. There will be lots of activities for all the family, plus music from Freedom of Expression. Click on the flyer above to see more details and the music line-up. You can also meet some of the Friends and find out how you can help support Wandle Park. 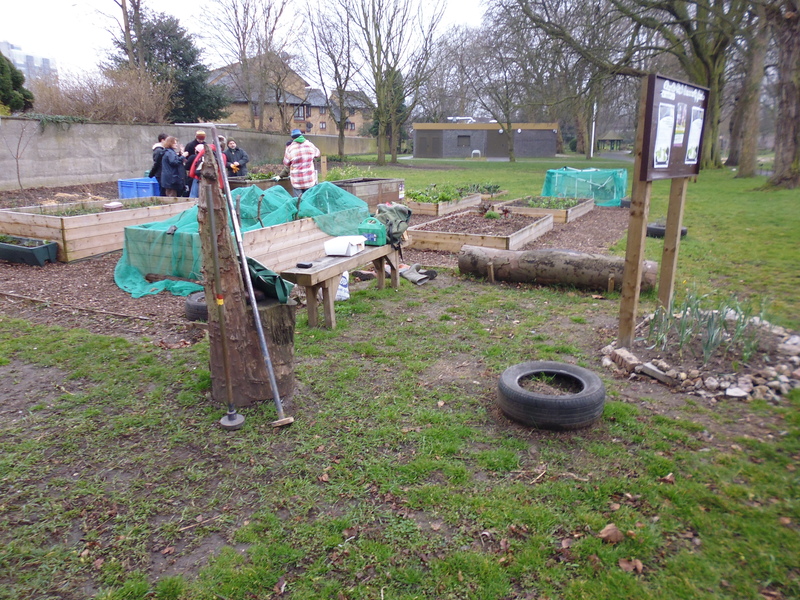 On the 15th of March 2015 the Wandle Park Community Gardeners got together to lay some hard standing in their social area, to improve the look of the community garden and better define the area. Planting an Edible Hedge in the Community Garden! 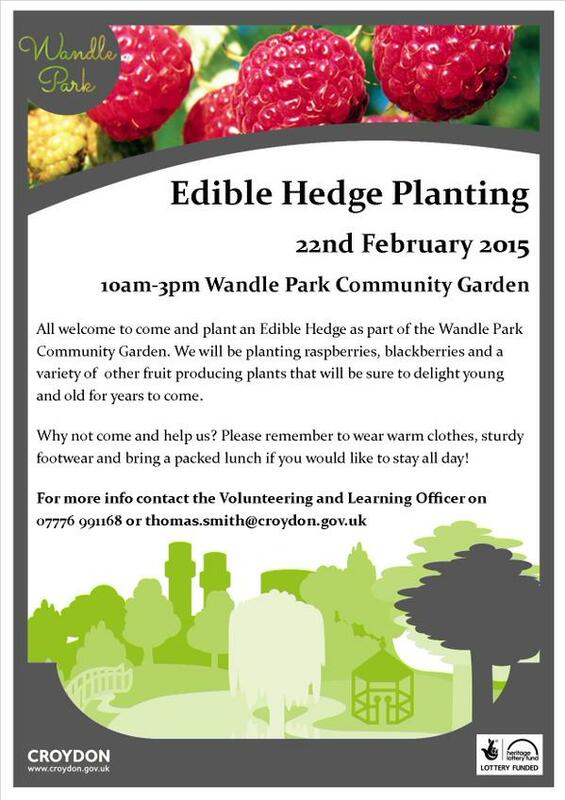 On Sunday the 22nd of February 2015 from 10am – 3pm we will be planting an edible hedge behind the Community Garden. The hedge will produce fruit and berries, to give food, the pleasure of foraging and boost the ecosystem in the garden! 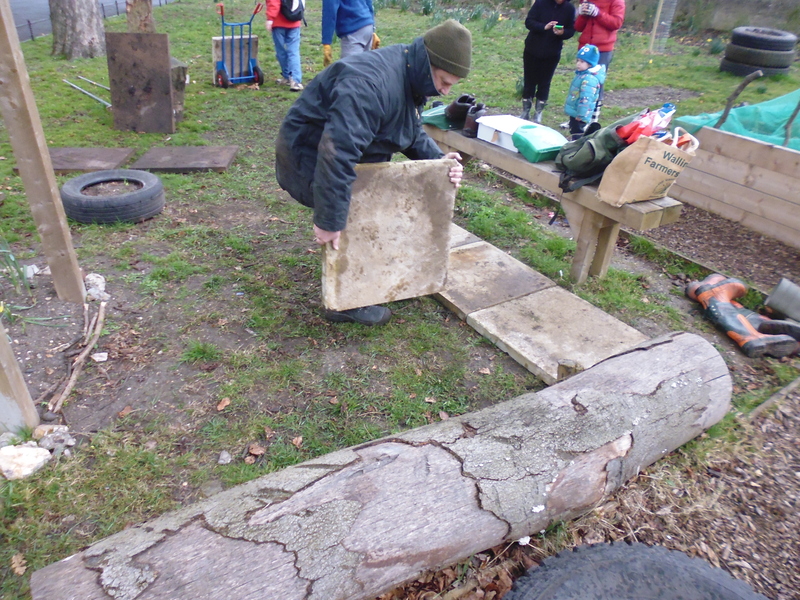 All tools and equipment provided, as well as help and training from Ecolocal, a local charity that encourages people to enjoy their environment. Warp up warm and wear stout shoes. The work may be a little muddy! 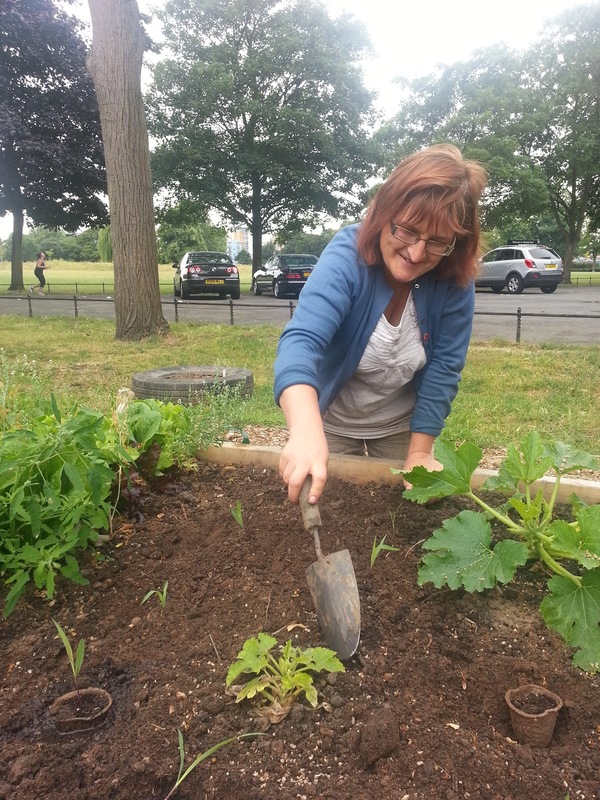 Wandle Park has its own community garden! It’s a great way to learn how to grow your own food, and have a laugh! The gardeners meet every Sunday from 10 am until around 12 noon, and have been supported by a local charity Ecolocal as well as receiving kind support from Croydon Council, on behalf of the Heritage Lottery Fund. We are always on the lookout for new projects. Recently we have built 4 new growing beds, a couple of wormeries and we are also establishing a compost heap. Next year the plan is to create a native soft fruit area, develop the social/meeting area and reinforce the infrastructure of the garden. We will also be experimenting with crop rotations! Why not come down to the garden one Sunday and see what we do! 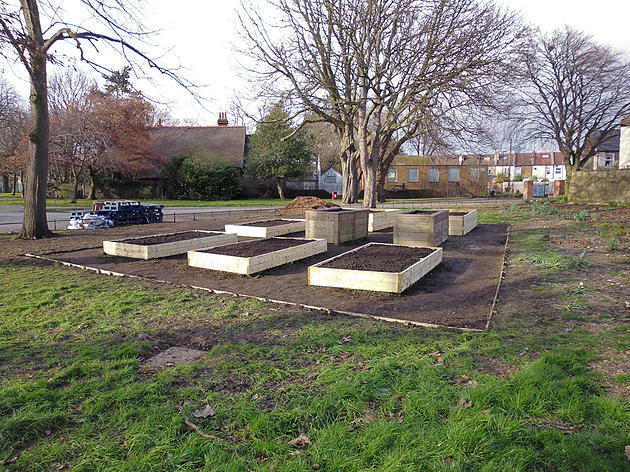 The Community Garden is finished and ready for planting on Sunday 16th of March (2014)! The Community Garden is now finished and is ready to be planted up. Tom will be at the garden from 10am on Sunday to help people plant their seeds/sets and give basic advice. There will be 2 hour sessions every Sunday for the rest of the Spring, for people to come along and plant, weed and generally garden. The garden will be the focus for community growing, with flowers as well fruit and vegtables. 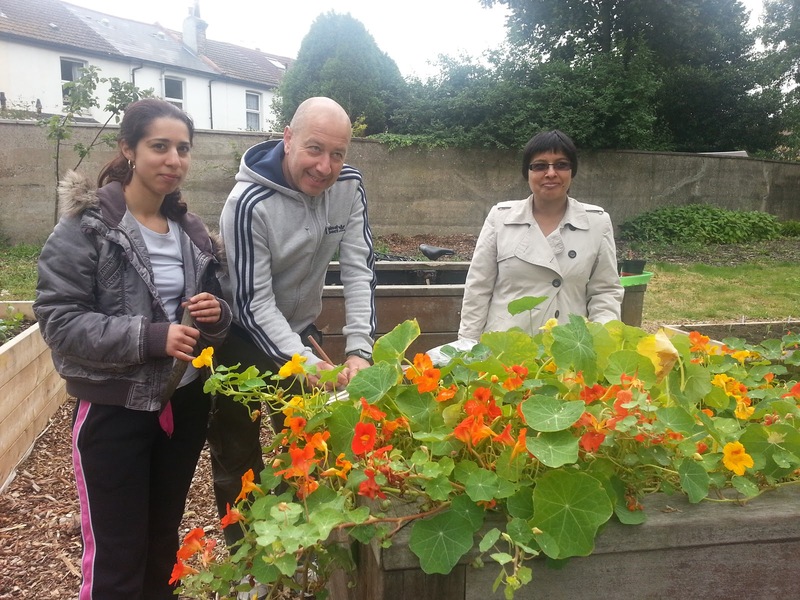 Why not come down one Sunday, 10-12noon, have a chat and a cuppa with Tom and get growing! 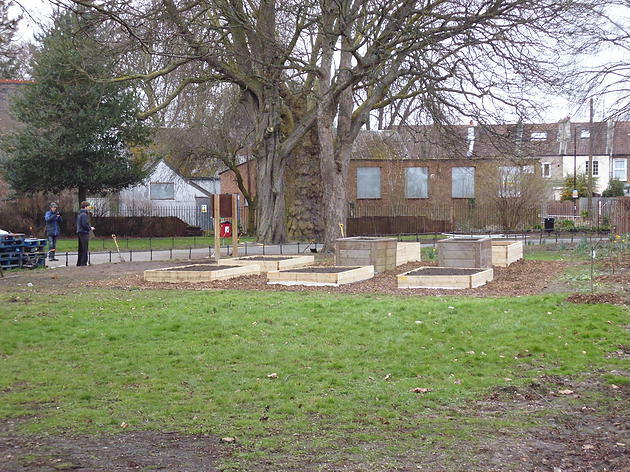 The Wandle Park Community Garden is almost finished! Thanks to kind help from TCV volunteers the garden only needs the paths to be laid, the sign to be erected and the fruit trees to be transplanted! Community Garden days will start on the 16th of March (2014) and will run weekly during the growing season, 10-12 on a Sunday. Contact Tom, the Volunteering and Learning Officer, on thomas.smith@croydon.gov.uk to get involved, or just turn up on the day! 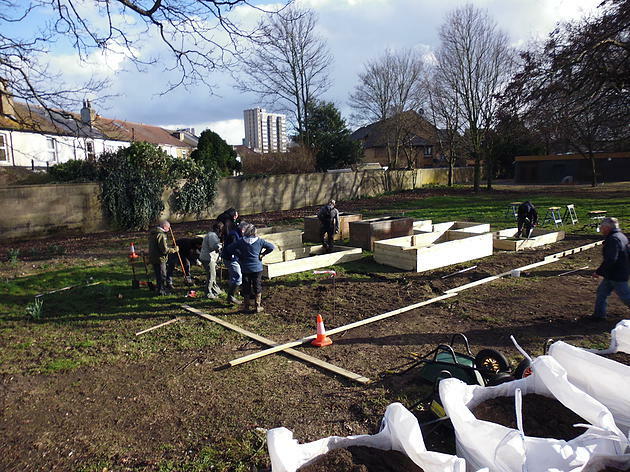 Wandle Park’s new community garden is taking shape. Local enthusiasts and volunteers from TCV have been working hard all week to get it into shape! Why not join us at 10am on Sunday the 2nd of March (2014).